Congratulations to Christopher, Dawn, Heather, Joan and Jackie who were the lucky winners in our draw. Win a pair of tickets to the ultimate summer event! 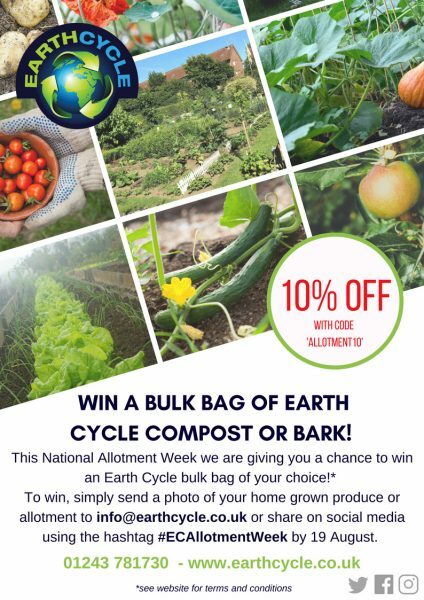 All you have to do is email marketing@nsalg.org.uk by the 15 June to be entered in to a prize draw. 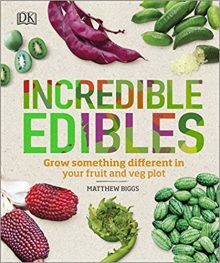 We have 2 copies of Incredible Edibles to give away. Get inspired to cultivate and cook amazing new crops with this seed-to-plate guide to more than 50 out-of-the-ordinary edibles. Email diane@nsalg.org.uk with the answer to the question below by 23 May, correct answers will be put in to a prize draw. Which of these is a real incredible edible? Congratulations to Sally from Leeds and Vaseem from London, the Almanacs are on their way. 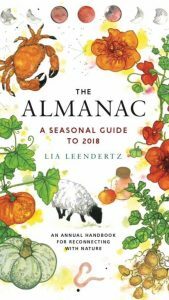 CLOSED:We have 2 copies of The Almanac to give away.Written by award winning gardener and food writer Lia Leendertz, The Almanac revives the tradition of the rural almanac, connecting you with the months and seasons via moon-gazing, foraging, feast days, seasonal eating and gardening. Email diane@nsalg.org.uk with the answer to the question below by 19 December, correct answers will be put in to a prize draw. "What month do the Lyrid Meteor Showers appear in?" Win tickets for the Gardeners World Live show in June! We have 3 pairs of tickets and a selection of books to give away. Enter our vegetable knitting competition and we will enter you into a prize draw. The Society are putting together a stand for Gardeners World Live 2017 and we thought that knitted vegetable bunting would be a great idea but we need your help! So dust off your needles and dig out those bits of spare wool and send us your knitted vegetable(s) by Friday 2 June and we will enter you into the prize draw. Email diane@nsalg.org.uk if you need a pattern or try www.ravelry.com for free patterns. To win a Kikkadigga a universal tool that fits forks, spades and shovels to reduce physical strain please answer the following question. What is the traditional day for planting the first potatoes? To win a selection of books including "The Natural World of Winnie the Pooh" by Kathryn Aalto, The Backyard Homestead Book of Kitchen Know-how by Andrea Chesman and Fresh Made Simple by Lauren K Stein, please tell us which European Country exports the most Brussels Sprouts, is it? To win a copy of the beautifully illustrated Nature Anatomy, the curious parts and pieces of the natural world by Julia Rothman please tell us what day does the pop-up allotment open in Plymouth for National Allotments Week? To win a Gripple Garden Trellis Kit - we have 2 to give away, please tell us what crop you are likely to use this product with on the plot. The first 25 people who visit the Gripple website and order a kit using code NSALG10 will get 10% off their order. To win a copy of "The Cut Flower Patch" by Louise Curley, published by Frances Lincoln, please tell us which popular allotment flower can also be used to make a salve for stings and irritations, is it? To win a copy of The Greenhouse Gardeners Manual by Roger Marshall please tell us which of the following people designed the Crystal Palace for the Great exhibition of 1851, was it? To win a copy of Rosie Saunder's beautifully illustrated "The Apple Book" please tell us the country of origin of the Granny Smith apple, was it? To win a copy of "Groundbreaking Food Gardens, 73 Plans that will change the way you grow your garden" please tell us which allotment site recently featured in the Museums at Night exhibition with photographs taken by the photographer Rankin. Was it? The winner was Mr Mark Richmond from Darlington and the answer was B) Coogan and Brydon. To win a copy of " Kitchen Garden Experts - twenty celebrated chefs and their head gardeners" please tell us which comedy duo filmed a fictional restaurant tour around the north of England.